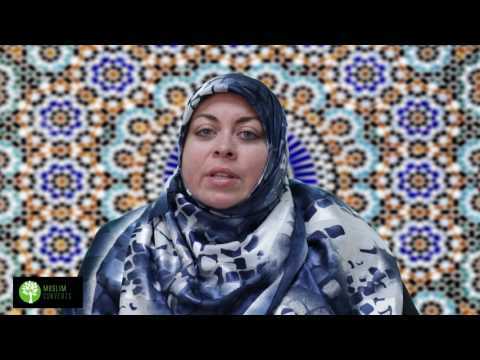 Welcome back to the Muslim Converts Channel! Our last lesson was more of a philosophical discussion concerning the idea of putting belief into practice. We argued that Islam is both belief and practice, without the latter, there is no Islam. We further argued that Islamic practices often come in the form of obligations, meaning that we have no choice but to follow them through, unless we want to oppose God’s commandments and fall into sin. Obeying the law is part of being faithful to our covenant to God. This lesson will be an introduction to the most fundamental practices of Islam called the furūʿ al-dīn. These practices are obligations and they embody the core spirit of obedience to God. We will first establish their relationship to the usūl al-dīn and then we will briefly outline the ten obligatory practices that make up the furūʿ al-dīn. The usūl al-dīn are the fundamental principles of Islamic belief. The usūl al-dīn can also be literally translated as the “roots of religion.” Roots are what animate a tree, without roots, a tree cannot survive. The five fundamental beliefs of Islam are what give life to Islam. Without them, the tree of Islam cannot survive for long. Furūʿ al-dīn literally means the “branches of religion.” Just like the roots feed a tree and keep it alive, branches, along with their leaves, also nourish the roots in return. The furūʿ al-dīn are ten: ṣalāt (obligatory prayers), fasting, Hajj, Zakāt, Khums, Jihad, Commanding the Good (amr bi al-maʿrūf), Forbidding Evil (nahi an al-munkar), Tawalla and finally Tabarra. The furūʿ al-dīn are not only wājib, but they are also farḍ. In the English language, both mean obligatory, but what makes farḍ special is that it is an obligation that is clearly found in the Qur’an. So in this sense, salāt is not just wājib, but also farḍ since it is explicit in the Qur’an. For example, salāt is wājib, but since it is explicitly found in the Qur’an, it is also farḍ. The furūʿ al-dīn obviously don’t exhaust the entirety of Islamic law. They act as a legal umbrella that cover a series of rules that encompass most if not all of Islam’s commandments and prohibitions. For example, although the prohibition against stealing isn’t explicitly part of the furu al-din, it is a subcategory of “Forbidding Evil” , the 8th furūʿ al-dīn. Salāt: Salāt generally refers to the five obligatory prayers that a Muslim must perform on a daily basis. The five prayers are composed of 17 units in total and begin with the dawn prayer (fajr) and end with the night prayer (ʿishā). Salāt is different than supplications (duʿā) where one sits and personally speaks with God, or begs Him for things. The distinct practice of duʿā is not obligatory but salāt is. If a person denies its obligatory nature after being informed about it, he or she cannot be a Muslim. Fasting: Fasting, also known as siyām in Arabic, is the obligatory fast during the Holy month of Ramadan. One fasts for around 30 days from dawn until sun set and refrains from food, intimate relations, drink, smoking, as well as sins like gossiping. Fasting is there to help people psychologically detach oneself from things that are regularly allowed. This helps us resist things that are prohibited. Hajj: The pilgrimage that every capable Muslim must make to the Holy Kaba in the city of Mecca at least once in his or her lifetime. The Hajj is an opportunity for Muslims from all around the world from all races and cultures to gather and worship God together as equals. Zakāt: Zakāt comes from the word tazkīyah, which means to purify, as in purifying one’s wealth by giving part of it to the poor. Zakāt is a special tax that all eligible Muslims must pay to the poor. The Zakāt tax is intended to help the poor and help them with their need for food and shelter. Khums: Khums means “one fifth.” Khums is a tax where one fifth of one’s unused sitting income at the end of the year is given to charity. Khums can be taken from other things, but we won't go into its details here. Khums is meant to help finance many of the religious institutions in Islam. Jihād: Jihād is of two kinds, one is inner and the other external. Jihad means to struggle. The inner jihad is a jihad against the nafs or egoic self that commands to evil. The external jihad is a self-defense mechanism whereby a person must defend himself or herself in case a warring group attacks his or her locality. Commanding the Good: In His religion, Allah has already established what is good. Among other things, these include telling the truth, marriage, establishing salāt, etc. Commanding the good is encouraging yourself and members of the Muslim community to do good. By commanding the good, one betters one’s community and its future. Forbidding Evil: Allah has also told us what is evil. These include fornication, lying, cheating, alcohol, stealing and so on and so forth. A Muslim’s duty is to forbid these sin through peaceful advice. Tawalla: Tawalla literally means to direct oneself, as in, direct oneself to the Prophet Muhammad (s) and his Ahl al-Bayt (as) and love them wholeheartedly. Only by loving them, and associating oneself with those who love them, does one gain closeness to Allah for they are His representatives and His dearest of creatures on earth. Tabarra: Tabarra is the opposite of Tawalla. It is to disassociate oneself from the enemies of the Prophet Muhammad (s) and his Ahl al-Bayt (as). This done for several reasons. The first is out of respect and love of Allah and avoiding those whom are hateful to God. Second, everyone is susceptible to influences by people. Associating with evil people will inevitably leave its mark on our hearts. As such, for our own sake, we must disassociate from such people just like one would disassociate from disease infested places. In the following lectures, we will discuss each of the furūʿ al-dīn in more detail. Furūʿ al-dīn literally means the “branches of religion”. Just like the roots feed a tree and keep it alive, branches, along with their leaves, also nourish the roots in return. The furūʿ al-dīn are ten: ṣalāt, siyam, Hajj, Zakāt, Khums, Jihad, Commanding the Good, Forbidding Evil, Tawallā and finally Tabarra. Ṣalāt: obligatory five daily prayers. Siyam: fasting during the Holy month of Ramadān. One must abstain from food, intimate relations, drink, smoking, as well as sins like gossiping. Hajj: The pilgrimage that every capable Muslim must make to the Holy Kaba in the city of Mecca at least once in a lifetime. Zakāt: Tax which eligible Muslims must pay to the poor. Khums: a one-fifth tax of one’s sitting income in addition to other forms of income. It is there to help fund religious institutions. Jihad: Struggling in the path of God, both in fighting one’s egoic self that commands evil, as well as defending one’s locality from aggressors. Commanding the Good and Forbidding Evil: Encouraging what God has established as the good and discouraging people from what is evil. Tawalla and Tabarra: Loving the Prophet Muhammad (s) and his Ahl al-Bayt (as) and disassociating from their enemies. Telling the truth is part of the 7th furūʿ al-dīn, i.e. commanding the good. The furuʿ al-dīn are umbrella practices, they are general points that cover most Islamic practices. The former are the fundamental core beliefs of Islam, the latter are its fundamental core practices. If you do so knowing that Islam makes it obligatory, then no, you cannot be considered a Muslim.